BLOGS and pages like this often go: nurr-nurr-nurr and make loser signs when the council spells a sign wrong or prints a mistake in a newsletter. This, as if the Camden New Journal has never printed a typo. I remember the old ‘pubic inquiry’ blunder popping up on the front page once. So hands up this week for the bungletronic error on page two this week. 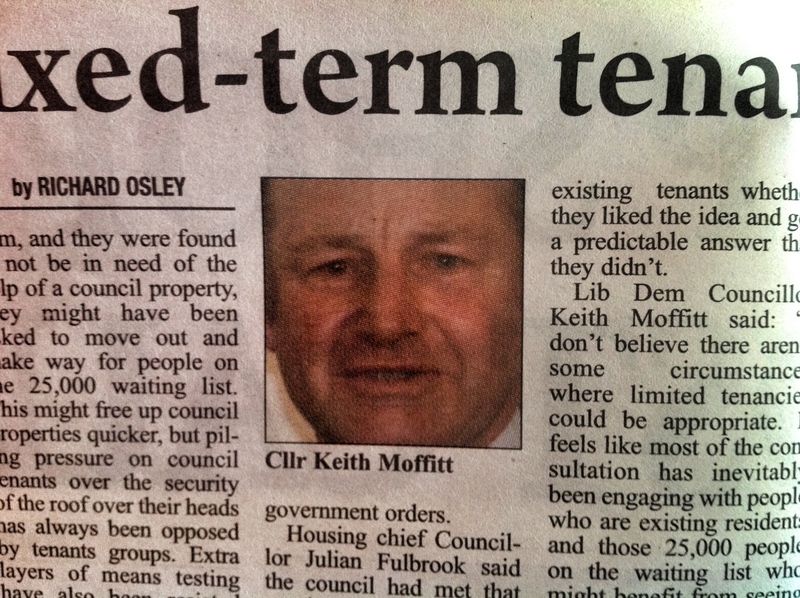 The picture is unmistakably Labour councillor Julian Fulbrook, the caption is Camden’s Lib Dem leader Keith Moffitt. Julian jokes: “Probably both Cllr Moffitt and I have a defamation action to launch… But I will waive mine in the light of your editorial.” The paper printed a leader column commending the decision not to bring in fixed tenancies for council properties in Camden. Osser, what have the CNJ been on recently take a peep at page 2 in the Cop shop article, the article refers to my good friend Abdul Hai as SHE! The picture of Cllr Fulbrook looks something like the character “Freddy Krueger” in the film a “Nightmare on Elm Street” Although we can now name this picture a “Nightmare on Judd Street” !